Well, you could choose better weather than I did to visit Monaco. It literally rained for every second I was in the principality. 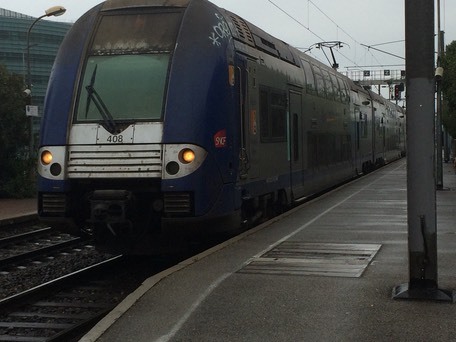 I flew to Nice and caught a local train from Nice St. Augustin to Monaco, a simple exercise that took around 30 mins and cost 4 Euros. 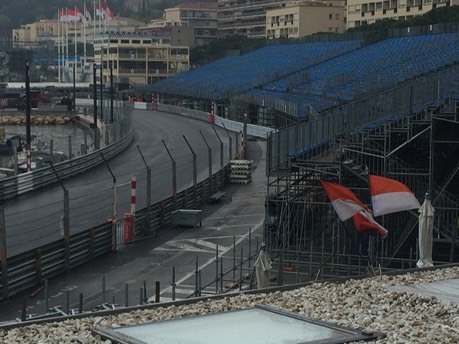 I hadn’t realised how steep Monaco is. It is literally a hill side clinging on beside the Med. Preparations were underway for both the electric (e) GP and the real one in May so the seating and barriers were being put in place. Without the UK’s Health and Safety rules I was able to get into the stands and have a sit down for a while. 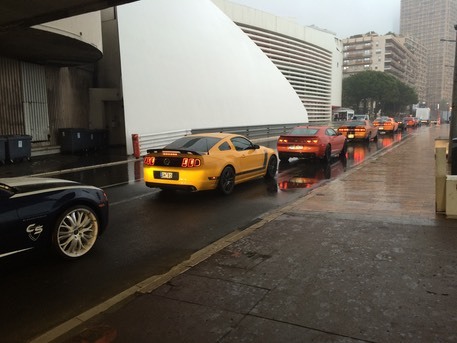 Car clubs revved their beasts in the tunnel. I walked most of the GP circuit, getting soaked to the skin, before heading back to the train station for the onward journey to Ventimiglia in Italy to overnight.